Our success rate is one of the best in the dental industry, reaching a remarkable high of 99.4%¹. Dentists praise the OsteoCare system for being “simple”, “easy to use” and ideal for every clinical scenario. The success rate stems from precision engineering with ease of use at the forefront of each design. 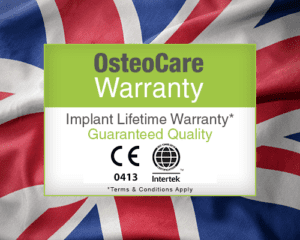 OsteoCare like to refer to the Maxi Z range of implants as the all-rounder choice. The range has an implant for a wide range of clinical scenarios. With One & Two Piece options it is flexible and cost effective for the dentist and patient. The tapered designs allows for transmucossal placement, if desired, which is less traumatic for the patient and preserves the bone and soft tissue². The One Piece is every patient’s dream as it removes the need for second stage surgery. 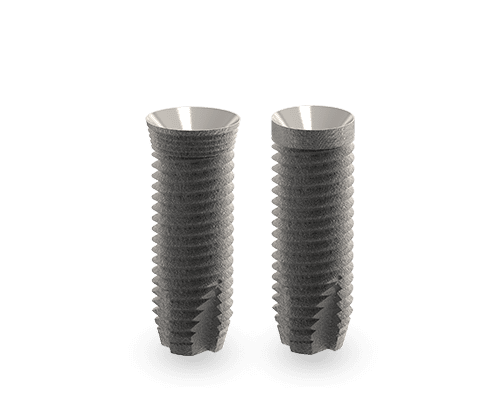 The One -Piece implant is made from a solid piece of Titanium with integrated abutment, there is no need for extra prosthetics. All that is required is preparation of the abutment section and the crown, making it incredible cost effective. The Platform design of the Maxi Z One-piece gives better aesthetic emergence profile, especially in the anterior aesthetic zone. The Maxi Z Two-Piece Implant is a dynamic implant with multiple restorative options. The tapered design lends itself particularly well to immediate placement in a post extraction socket as well as atrophic ridges. Immediate loading is also possible as the tapered design allows for good initial stability even in poor quality bone3-4. The Maxi Z Two-piece can placement with or without raising a flap, dependant on the clinicians preference. allows for sinus floor augmentation without perforating the Schneiderian membrane in cases of vertical bone. 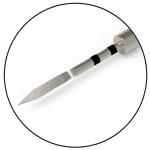 The Maxi Z Flat-End can be used in conjunction with the OsteoCare flat-end osteotomes if there is a need to break the sinus floor. The Maxi Z Flat-end starts in lengths of 6.5mm. OsteoCare Mini & Midi Ball & post type implants are ideal in narrow atrophic ridges as they start in diameters of 2.35mm. The implants may be placed in a single-stage transgingival procedure, if desired. In certain cases the Implant can be placed using just pilot drill, making this a less invasive treatment option. OsteoCare Mini/Midi Post-Type Dental Implant are made from one piece of titanium with an integrated abutment. They are an extremely cost effect solution for certain cases, as there is no need to purchase other OsteoCare components. They are commonly used in cases where immediate loading is indicate. 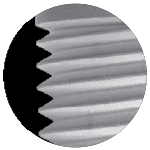 The tapered design along with the small diameters makes them a perfect implant for use in narrow atrophic ridges. OsteoCare Mini and Midi One-Piece Ball-Type implants have demonstrated excellent long-term survival, marginal bone response, and soft tissue conditions with immediately loaded mandibular overdentures. The primary stability of conical implants is greater than cylindrical implants. They have proved to be a viable and predictable treatment option for completely edentulous mandibles in stabilising overdentures. OsteoCare Classic Advanced and Advanced are conventional parallel two-piece implants, which is considered the most scientifically documented of its type within the industry. Brånemark was the first systems to use this shape implant dating back to 1965 and from there others have adopted the design in their systems. 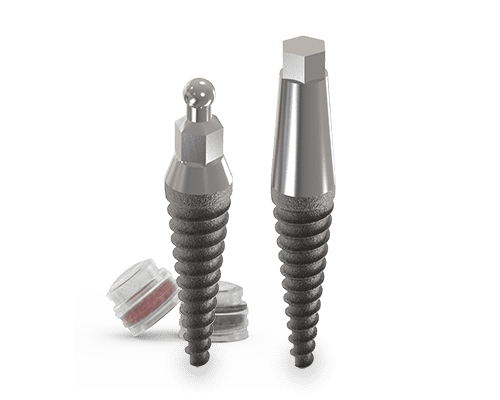 The Classic Advanced and Advanced implants are the original design form OsteoCare and are still as popular today as they were when the company was founded. Twin start thread allows for swift placement. Self tapping V shaped thread with reliefs that reduce mechanical load on the implants and advantageous to surrounding bone. Stability in all type of bone including type II and type III. Flared Head and Micro Grooves (Advanced implant only) allows for optimal emergence profile and improving bone resorption. 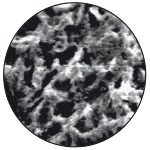 Grit-blasting produces a defined macro-roughness surface and etching with mineral acid, which increases the micro-roughness surface. GBA enhances osseointegration and provides a 240% greater surface area than a traditional machined surface. All OsteoCare implants have a GBA surface. 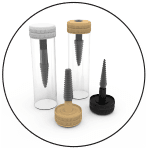 OsteoCare’s carrier system enables storage without contact between the implant and vial known as the “No Touch” technique. No contact when transporting the implant to the osteotomy ensures the avoidance of possible contaminates. Mini & Midi Implants may be placed in a single-stage transgingival procedure. 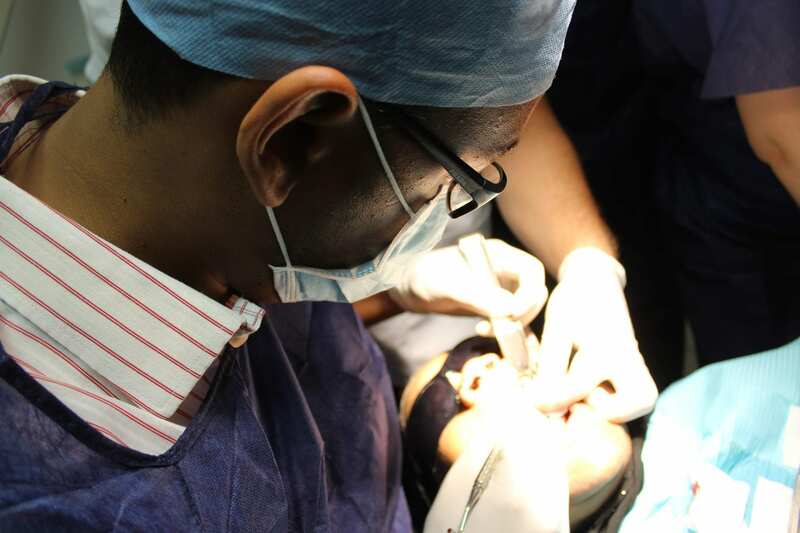 Implant placement surgery usually involves only minor preparation of the bone (osteotomy) using a profile drill and seating of the implant within the osteotomy. This is a less invasive treatment option. 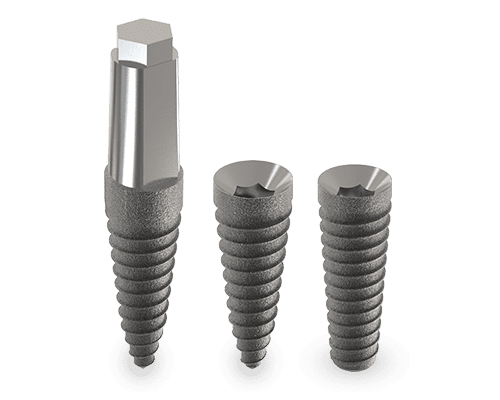 The advantages of the twin start thread are that the implants may be placed in poor quality bone, which radically enhances primary stability, and for type II or type III bone the opportunity for immediate or early load is maximised. Twin start thread allows for swift placement. 2 Talwar, B. (2012). 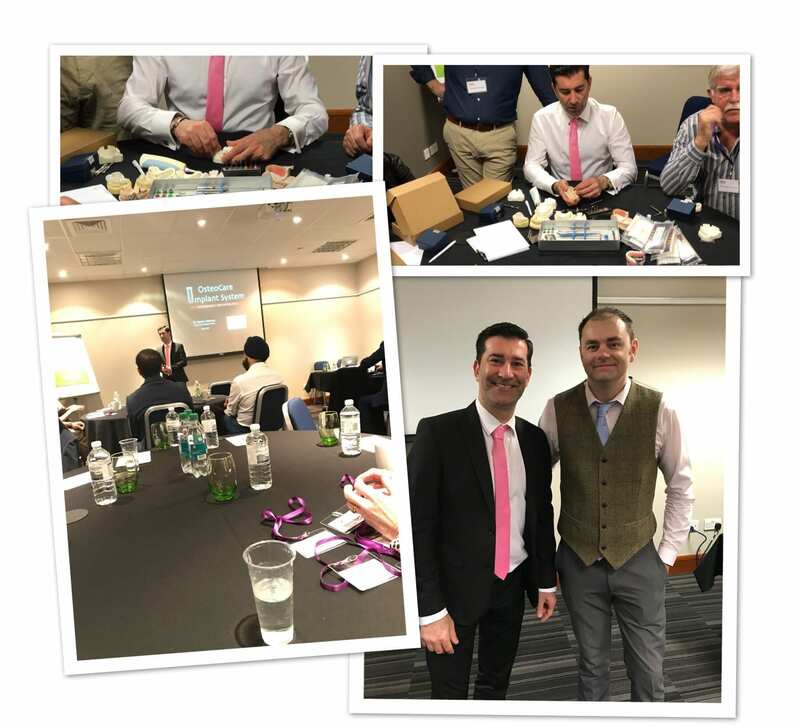 A Focus on Soft Tissue in Dental Implantology. The Journal of Indian Prosthodontic Society, [online] 12(3), pp.137-142. Available at: https://www.ncbi.nlm.nih.gov/pmc/articles/PMC3416938/ [Accessed 15 Jul. 2018]. 3. Alves, C. and Neves, M. (2009). Tapered implants: from indications to advantages. PubMed, [online] pp.161-167. Available at: https://www.ncbi.nlm.nih.gov/pubmed/19408478 [Accessed 7 Jun. 2018]. 4. Wilson, T., Miller, R., Trushkowsky, R. and Dard, M. (2016). Tapered Implants in Dentistry. Advances in Dental Research, [online] 28(1), pp.4-9. Available at: http://journals.sagepub.com/doi/full/10.1177/0022034516628868 [Accessed 17 Aug. 2018]. 5. Attard NJ, Zarb GA. Long-term treatment outcomes in edentulous patients with implant overdentures: the Toronto study. Int J Prosthodont. 2004; 17: 425-433. 15. Dudic A, Mericske-Stern R. Retention mechanisms and prosthetic complications of implant-supported mandibular overdentures: long-term results. Clin Implant Dent Relat Res. 2002; 4: 212-219. 6. 40. Gatti C, Haefliger W, Chiapasico M. Implant-retained mandibular overdentures with immediate loading: a prospective study of the ITI implants. Int J Oral Maxillofac Implants. 2000; 15: 383–388. 41. Chiapasco M, Abati S, Romeo E, Vogel G. Implant-retained mandibular overdentures with Branemark System MK II implants. A prospective comparative study between delayed and immediate loading. Int J Oral Maxillofac Implants. 2001; 16: 537–546. 7. Morneburg TR, Proschel PA. Success rates of microimplants in edentulous patients with residual ridge resorption. Int J Oral Maxillofac Implants. 2008; 23: 270–276. 43. Romeo E, Lops D, Amorfini L, Chiapasco M, Ghisolfi M, Vogel G. Clinical and radiographic evaluation of small-diameter (3.3-mm) implants followed for 1–7 years: a longitudinal study. Clin Oral Implants Res. 2006; 17: 139–148. 8. Zarb GA, Schmitt A. Osseointegration for elderly patients: The Toronto study. Part II: The prosthetic results. J Prosthet Dent. 1994; 72: 559-568 9. Zarb GA, Schmitt A. The edentulous predicament II: The longitudinal effectiveness of implant-supported overdentures. J Am Dent Assoc. 1996; 127: 66-72. 10.Zahran A. Clinical evaluation of the OsteoCare Mini and Midi implants for immediate loading of mandibular overdentures. J Implant Dentistry Today. 2008; 2: 54–59.- Perfect for overdentures.